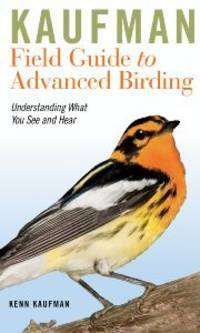 bookrook (Great Falls): I have the first Advanced Guide - this is almost all new. If you have the first and like it, you will appreciate this new one as well. Houghton Mifflin Harcourt. VINYL BOUND. 0547248326 New Condition. . New. Houghton Mifflin Harcourt. VINYL BOUND. 0547248326 Like New Condition. . Fine. Houghton Mifflin Harcourt, 2011. Other book format. New. 7.25 x 4.5 cm. Houghton Mifflin Harcourt. VINYL BOUND. 0547248326 Special order direct from the distributor . New. Houghton Mifflin Harcourt, 2011-04-19. Vinyl Bound. Used:Good. In Stock. Always but with confidence. Houghton Mifflin Harcourt, 2011-04-19. 1. Vinyl Bound. Used:Good. Houghton Mifflin Harcourt. VINYL BOUND. 0547248326 . New. Houghton Mifflin Harcourt. VINYL BOUND. 0547248326 Remainder mark . Fine. Published by Houghton Mifflin Harcourt, 2011. 1st edition.. Paperback. Very Good. Very good condition. Understanding What You See and Hear. Pictorial laminated cardwraps. Colour illustrations. 448 pages including index. Spine slightly cocked and covers lightly bowed. Rear cover has a light vertical crease. Houghton Mifflin Harcourt, 2011-04-19. Vinyl Bound. Good. Houghton Mifflin Harcourt. VINYL BOUND. 0547248326 Brand New! Not Overstocks or Low Quality Book Club Editions! Direct From the Publisher! We're not a giant, faceless warehouse organization! We're a small town bookstore that loves books and loves it's customers! Buy from us and you get great service as well as a great price! Your business is valued and your satisfaction is guaranteed! . New. Houghton Mifflin Harcourt, 2011. Color illustrations, index, 448 pages.. Flexible Vinyl. New. Houghton Mifflin Harcourt, 2011-04-19. Vinyl Bound. New. Gift Quality. BRAND NEW, excellent copy! A great value and fast shipping. Tracking provided with email confirmation.All items shipped in custom cardboard boxes for maximum protection. Houghton Mifflin Harcourt, 2011-04-19. Vinyl Bound. Very Good. Spine is uncreased, binding tight and sturdy; text, illustration also very good. Remainder mark on bottom edge. Ships from Dinkytown in Minneapolis, Minnesota.